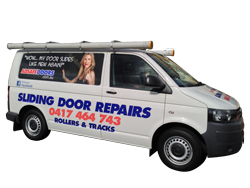 Are you looking for verandah sliding door repairs in Sydney? 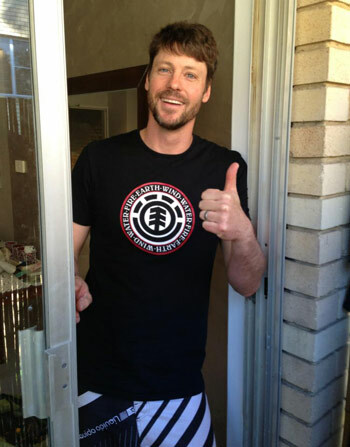 Adsafe Doors has been dealing with verandah sliding door repairs for over 20 years. Chances are, if you are living in a unit, then you will have a verandah with a sliding door. By far the most annoying thing is when your verandah sliding door becomes stuck and you are unable to move it. The whole idea of the verandah is being able to sit outside and enjoy the morning sun or sunset in the afternoons. Nothing puts a stop to that faster than a broken or stuck sliding door. While many people call them verandah sliding doors they are the standard aluminium and glass sliding doors. Like any door, your verandah sliding door or balcony door requires maintenance and repair every once in a while for them to function smoothly. But in some cases, the door goes beyond basic maintenance and the internal parts break down. Repair is significantly cheaper than replacing the whole door. And from an outsider looking in, the job appears simple. But of course, there are a number of internal components that need to be checked to ensure the safety and security of your door. Have you ever taken something apart and forgot how the parts went back together? That’s what happens to many people when they try to fix their verandah sliding door before giving our team a call. We have seen every type of sliding door repair issue over the last 20 plus years in Sydney and can get your door sliding like new again. Most homes have your standard rollers installed in your door. These become brittle over time and can easily get damaged. Not only that but when you have the door being opened and closed hundreds of times per week over many years, you can see why these internal parts need replacing. Our first job is to identify your door and inspect the rollers. One of the first things we’ll ask you is the type of door you have. Click play on the video below to see how to identify your type of door. One subtle thing many people do not realise is how their broken rollers are doing damage to their tracks. The track is the part that allows your door to roll smoothly and with ease. If your rollers are chipped and broken, they can edge into your track and cause more damage. Fortunately, one of our processes is to machine the track back and create the smoothest track possible. This allows you to move your verandah sliding door with ease. Like new again. Worn out rollers, if not replaced in time, will damage the track and will in turn prematurely damage new rollers. Using worn out rollers on a track that is in good condition flattens, corrugates, and chips the sliding door track. How do we fix your sliding door track? When repairing a worn out sliding door track, the runner needs machining before fitting a new cover. Your track needs to be fixed to avoid further damages on the sliding door. As you can see, we take great care for every sliding door repair we take on. When you give our team a call, we’ll ask some simple questions to get clear on exactly the issue you are facing. We’ll then tell you right away the issue, the solution and note some available times to get your door sliding like new again. Here we are fixing a client’s door from start to finish. You will notice how near impossible the door was to begin with, as it had disintegrated tracks and the rollers. Tracks and rollers are the two biggest issues when it comes to sliding door repairs. We see it all the time. Give the Adsafe Doors team a call today on 0417 464 743. We’d love to hear what issues you are having with your verandah sliding door repairs so we can recommend the best solution at the right price.